How Far is Sai Gandharva Nagar? 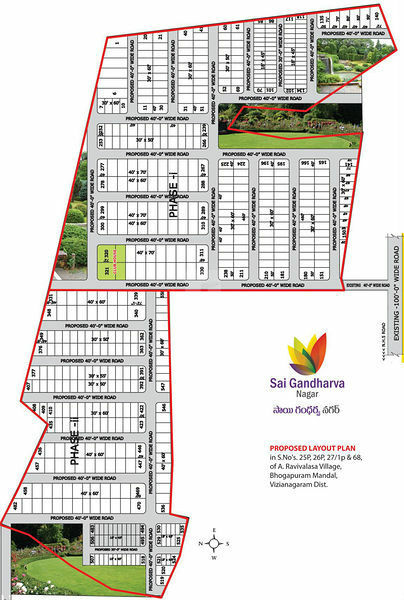 Sai Gandharva Nagar is a new prestigious project of Raja Infra Projects spread across 50 acres. It is an ideal place for comfort and peaceful living. The serene atmosphere and pollution free air will rejuvenate you all. It is a right value for your investment, as it is a place for blissful living. Very near to Bhogapuram IT Zone Miracle Software. Close to Gambheeram IT Park(SEZ). Close to Ramanaidu Studios & Vizag film city. Close to VMR Proposed Imax & Shopping Mail. Close to Bhemmili Beach Resorts. Close to many industrial parks(Non-Polluted). Part of the new fast growing Zone of the city. Surrounded by innumerable existing residential colonies. Close to 14 Enginneering & Medical colleges. Close to "OAKRIDGE" International school.